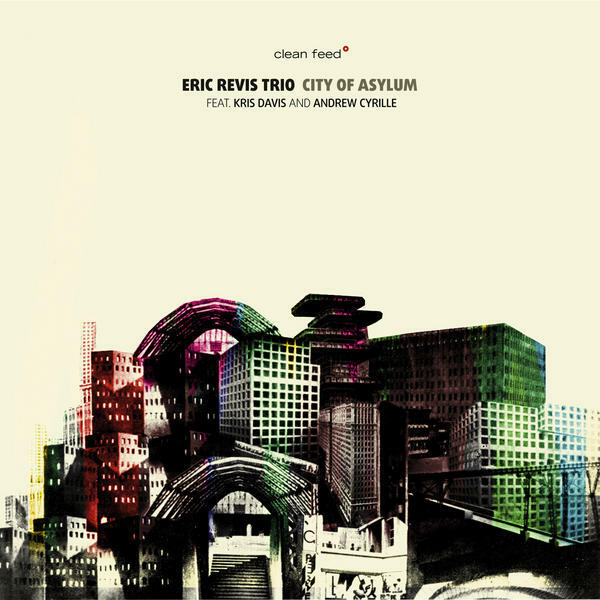 Bassist Eric Revis assembles an all-star piano trio and turns them loose on City of Asylum (Clean Feed 277). Acutely inspired collective improvisation is the order of the day. Revis and his very advanced bass forays, the increasingly ever-present Kris Davis on piano and the fantastic drumming of Andrew Cyrille hold forth for a really nice set that includes one by Jarrett and one by Monk along with a series of very accomplished and adventuresome free journeys.I don’t believe I’ve heard Kris Davis sound so continually brimming over with ideas and so poised at the same time. This one is a real ear opener for me in that. Eric is right up there with inventive all-over ideas. And Andrew sounds so beautiful, you could certainly listen just to him and get much to appreciate. He plays out-of-time phrasings that perfectly complement the musical proceedings, do not repeat and are models of inventive freetime. This one is a piano trio triumph in the free zone. It makes me smile! You must hear it.